You’ll be prettier than any of the presents this holiday season when you wear this angelic designer dress with an oversized sequin bow at the bust. The Sequin Bow Chiffon Designer Dress by Minuet is fully lined and crafted of navy chiffon. 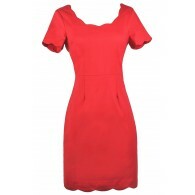 It features a sweetheart neckline and pleated chiffon fabric at the bust. The bust is framed with sparkly silver sequins and an oversized embellished bow at the bust adds the perfect final touch. An invisible back zipper completes this awesome dress. The Sequin Bow Chiffon Designer Dress would look great paired with pumps or strappy metallic heels and a clutch. Everyone will want to know where you got this awesome party dress. Details: Fully lined. Invisible back zipper. Lined and lightly padded bust for support. Small measurements: Length from top of bust to hemline: 27”. Bust: 34”. 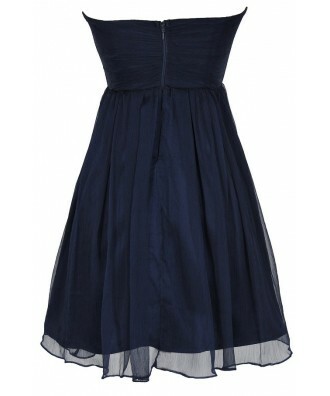 You have added Sequin Bow Chiffon Designer Dress by Minuet in Navy/Silver into Wishlist. You have added Sequin Bow Chiffon Designer Dress by Minuet in Navy/Silver for Stock Notification. 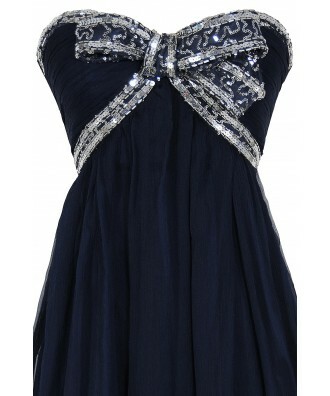 You have set Sequin Bow Chiffon Designer Dress by Minuet in Navy/Silver as a loved product. 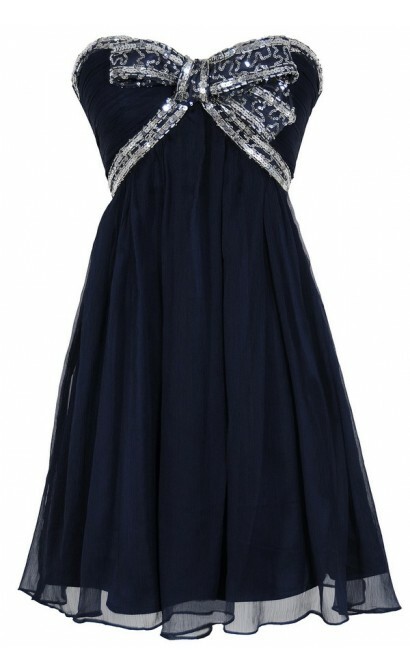 You have removed Sequin Bow Chiffon Designer Dress by Minuet in Navy/Silver as a loved product.